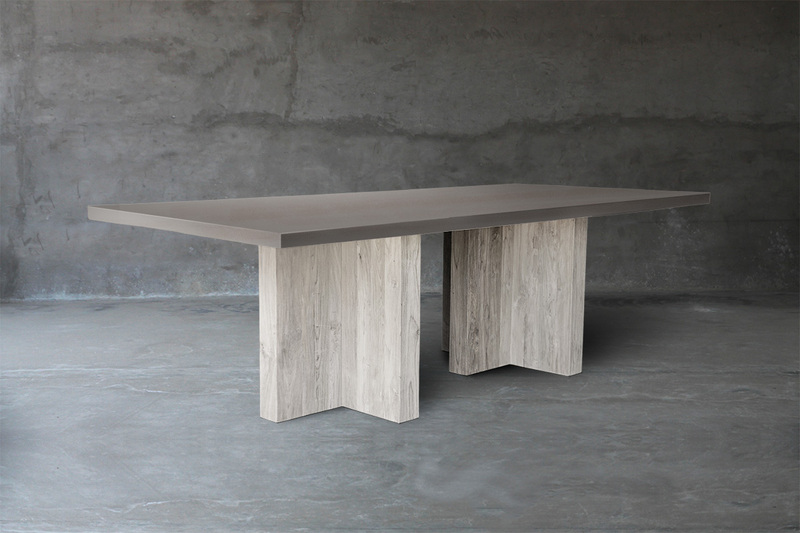 Our T-Base table is handcrafted from solid planks of reclaimed teak which is great for outdoor use. 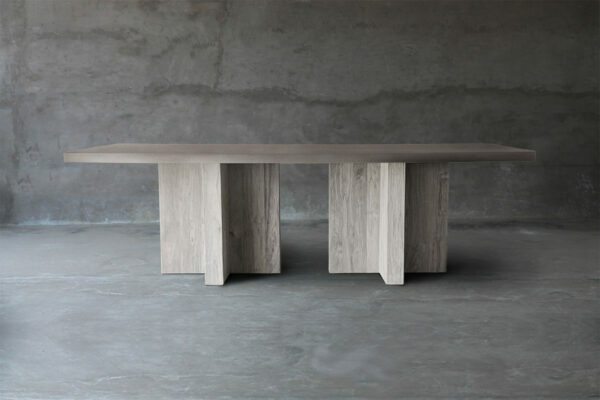 Available in natural teak or weathered as shown. 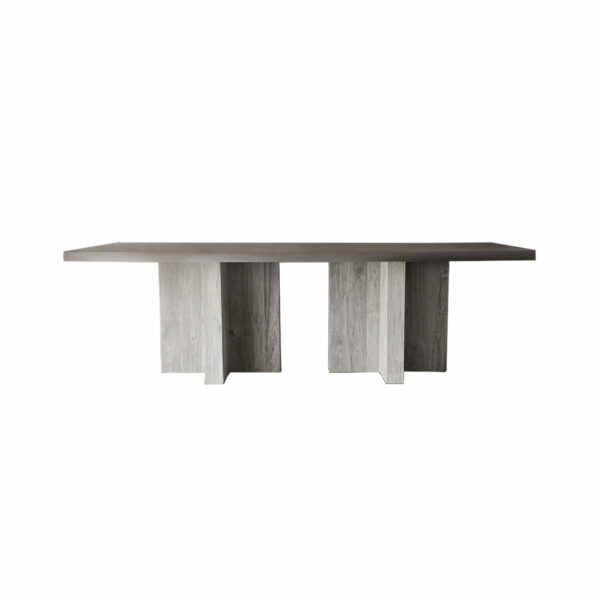 Concrete tops are available in Natural, White or Black with a 2â€ depth. 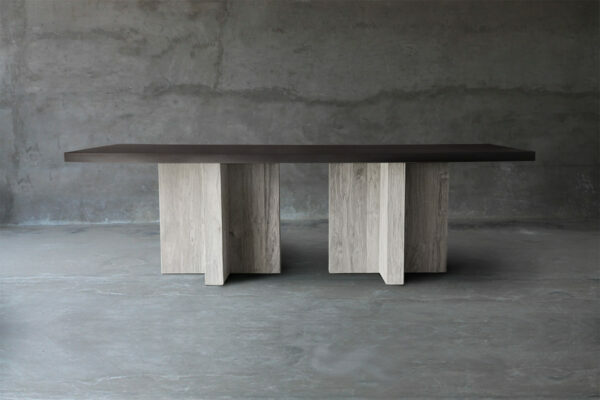 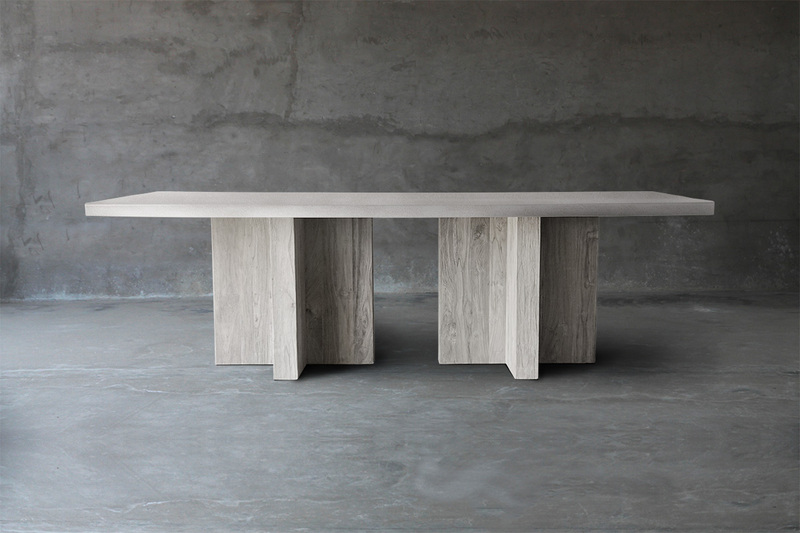 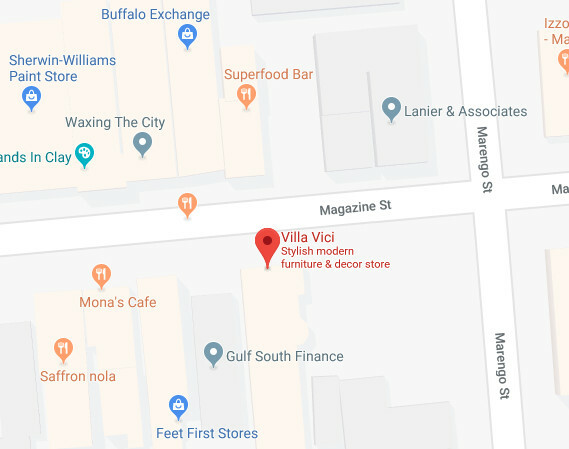 Each table will vary due to the unique character of the wood and handcrafted concrete tops.